The third and last batch of tickets went on sale Friday 8 April 2016 at 10:00 CET through the ticket partner: www.axs.com/eurovision. In this batch there were tickets for all nine shows: The three live shows, the three jury rehearsals and the three family rehearsals. 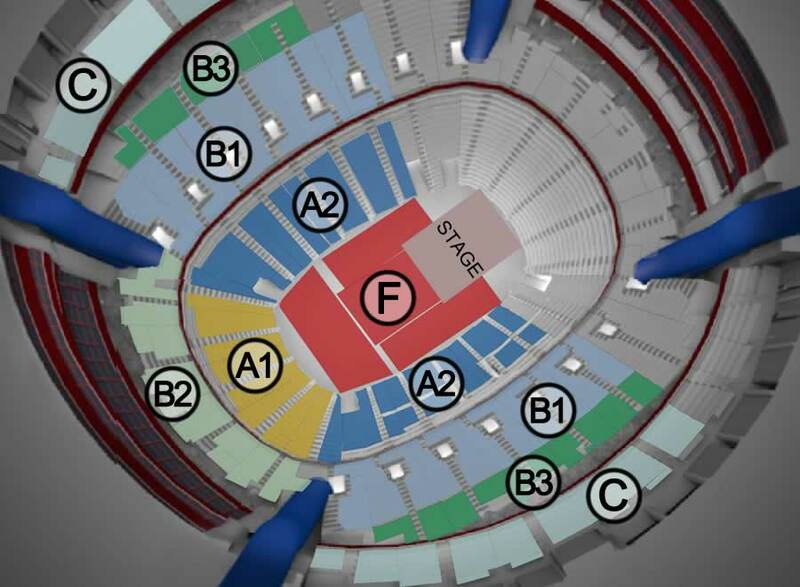 The plans for the Arena have developed further, meaning that the second batch of tickets went on sale on the last day of February. There will be more batches of tickets during the next couple of months. The first batch of tickets for Eurovision Song Contest 2016 in Stockholm was released on Thursday 26 November 2015, 10:00 CET through the ticket partner: axs.com/eurovision. And the tickets sold out quickly, and followed lots of anger because of chaos with the systems. The tickets for Eurovision Song Contest 2016 are released in three batches, depending on the allocation of seats in the arena: 1st batch went on sale 26 November 2015, 2nd batch on 29 February 2016 and 3rd batch on 8 April 2016. The two previous years the tickets have also been released in various batches. Last year there were four batches of tickets: The first batch of tickets went on sale on 15 December 2014. The second on 29 January 2015, the third on 27 February 2015 and the fourth on 14 April 2015. Tickets are offered in six different categories. The prices varies depending on the particular show and category. They ranges from €11 (Category B4, semi rehearsals) over a wide range in the medium price range up to €280 for tickets to the Grand Final (category A). Category F (Floor) is standing. All prices are calculated from Swedish Kroner (SEK) to Euro at the EUR/SEK rate 9.28. Eurovisionworld make every reasonable effort to ensure the accuracy and validity of the information provided here. However, the information is provided with no express or implied warranty and Eurovisionworld accept no liability or responsibility for any errors or omissions in the content on the Site or for damages as a result of relying on information contained within this site. The semi-final allocation draw for Eurovision Song Contest 2016 takes place on 25 January 2016 in the City Hall of Stockholm. The draw determines which countries are allocated to which of the two semi-finals. A number of tickets has been reserved for the members of one of the official Eurovision fan clubs around the world. These tickets are mainly for standing right in front of the scene in a special fan zone. The tickets were only sold in packages with six tickets to six shows: The three live-shows and the three jury-rehearsals. The OGAE fan packages started selling on Thursday 26 November 2015, 10:00 CET (same time as the ordinary tickets), and closed on Friday 4 December 2015. The fan packages were distributed via the official Eurovision fan clubs and sold via axs.com. Only fans with a unique password for axs.com could purchase a fan package.